Iskra Newspaper collection at Marx Memorial Library and Workers’ School, London, U.K.
Mariana is buried amongst piles of posters in the musty basement of the Marx Memorial Library and Workers’ School in London. She is the volunteer responsible for digitising the library’s vast archive of posters. There is a small office upstairs where Lenin spent two years while in exile writing the for Iskra (“spark”), the underground Bolshevik newspaper and ideological heart of the Party. About Iskra, Lenin had said, “A newspaper is not only a collective propagandist and a collective agitator, it is also a collective organiser. Political agitation is impossible without a regular and widely distributed newspaper. Its contributions and distributors formed the nucleus of the future Party”. 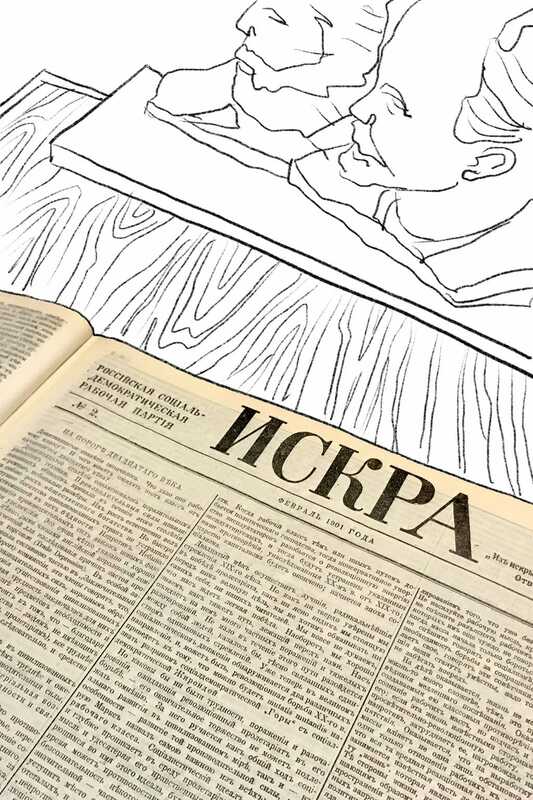 There is a framed map on the wall, with red arrows detailing the distribution of the paper throughout Russia and Europe—a reminder of the many lives risked so that the publication could find its readers. A tome on the small desk collects the old Iskra issues. The tightly packed Cyrillic text is visually jarring. The frugality of space in the publication seems a testament to the extremely difficult material and political conditions under which it was produced. As if the feat of reading it is as great as that of producing it. It would be a challenge to any serious activist of today’s Instagram age to make it through an issue of Iskra. But we did not come here for comrade Lenin. We came to look through the archive’s collection of posters and publications produced by the Organization of Solidarity with the People of Asia, Africa and Latin America (OSPAAAL). Map of distribution of Iskra outside Lenin’s office at Marx Memorial and Library Workers’ School, London, U.K. Selection of Tricontinental Magazine from the Marx Memorial and Library Workers’ archive. In January 1966, Cuba hosted the Tricontinental, a conference that united revolutionary movements from Africa, Asia and Latin America. This historic meeting—with over 500 delegates and 200 observers from 82 countries from 3 continents—was born out of two anti-colonial formations: the more conciliatory Non-Aligned Movement (NAM) and the more radical Afro-Asian People’s Solidarity Organization (AAPSO). Hosting the conference in Havana solidified the young revolutionary government’s internationalist orientation, while the presence of international attendees helped to legitimise the Revolution. At the heels of the conference, key organizer and Moroccan activist Mahdi Ben Barka was abducted and assassinated. His death—among other events—confirmed the urgency and high stakes of anti-imperialist struggles. The Organization of Solidarity with the People of Asia, Africa and Latin America (OSPAAAL) emerged from this conference as a permanent organisation—its secretariat is still based in Havana —with anti-imperialism and socialism as its objectives. During its peak period, OSPAAL served as a key bridge across liberation movements of the three continents. One of the primary projects of OSPAAAL was its publications: the monthly news-oriented Tricontinental Bulletin and the bi-monthly Tricontinental Magazine, which was more analytical and theoretical in nature. Black Panther Party leader Stokely Carmichael called the Tricontinental Magazine ‘a bible in revolutionary circles.’ In a report on the Tricontinental Conference, the Organization of American States (OAS)—the inter-state organisation formed in 1948, which has upheld U.S. hegemony in the region— called OSPAAAL ‘the most dangerous threat that international communism has yet made against the inter-American system,’ with its ‘unconcealed desire to create an effective propaganda impact by rapidly publishing a great quantity of documents, speeches, and informational material on the event, and widely disseminating these through all available media’. They understood well the war of words and images waged by OSPAAAL. In the 1940s, Cuba became the media capital of Latin America. The media landscape—radio, television, the press—was closely tied to the interests of the U.S. government and capital. Cuba had been a key laboratory for multinational corporations conducting market research for new products on both the poor and the wealthy of the island. Though the stationing of U.S. advertising agencies in Latin America began early in the 20th century, they emerged in full force around the second world war. These agencies served to secure the economic and cultural hegemony of the U.S. empire. With every commercial they sold the American Dream, promoting the interests of U.S. multinational corporations such as the infamous United Fruit Company. Meanwhile, advertising education was being formalised and the industry professionalised. Media technologies such as commercial radio and television were gaining momentum. 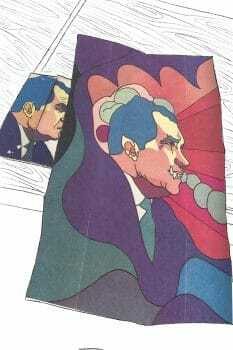 Fold out poster, Nixon (1969), by Alfredo Rostgaard. This was the heyday of the advertising industry. The art and science of advertising was being consolidated, and consumption—conflated with modernity and development—was its mantra. Studying the rise of Cuba’s broadcasting industry in this era, Yeidy M. Riveiro writes, ‘U.S. advertising agencies on the island created a cadre of advertisers who, after studying in the U.S. or at Havana’s Escuela de Publicidad (School of Advertising) or working in U.S.-Cuban advertising affiliates or local independent agencies, were trained to adapt U.S. advertising strategies to the Cuban and Latin American economic and cultural milieu’. In 1959, the Revolution would inherit some of these vestiges of U.S. imperialism—namely, its developed mass media system and its workforce of skilled creatives and experienced technicians—and turn them against the empire itself. McCann-Erickson (now of McCann Worldgroup), a global giant of advertising, first opened its Havana office on 1 August 1944. The company solidified its presence in Cuba and Mexico by acquiring Publicidad Guastella in 1951, becoming Publicidad Guastella-McCann Erickson (with 65 employees in Havana and 45 in Mexico City). This was one year before the U.S.-backed dictator, Fulgencio Batista, would return to power as the island’s President. Soon after his return, as part of an effort to boost U.S. tourism and restore the island to its ‘former glory,’ Batista hired the agency to create a civic education program. The goal was to teach Cubans the benefits of tourism, to be friendlier hosts. Batista cozied up with the secretary-general of the Confederation of Cuban Workers (comprised of 1800 unions), Eusebio Mujal, and secured economic growth at the expense of increased worker exploitation. In his study of the relationship between tourism and U.S. empire in Latin America, Dennis Merrill writes, ‘By the end of the decade, however, disenfranchised unionists constituted a core constituency within Fidel Castro’s 26th of July Movement’—the movement that would lead Cuba to Revolution. 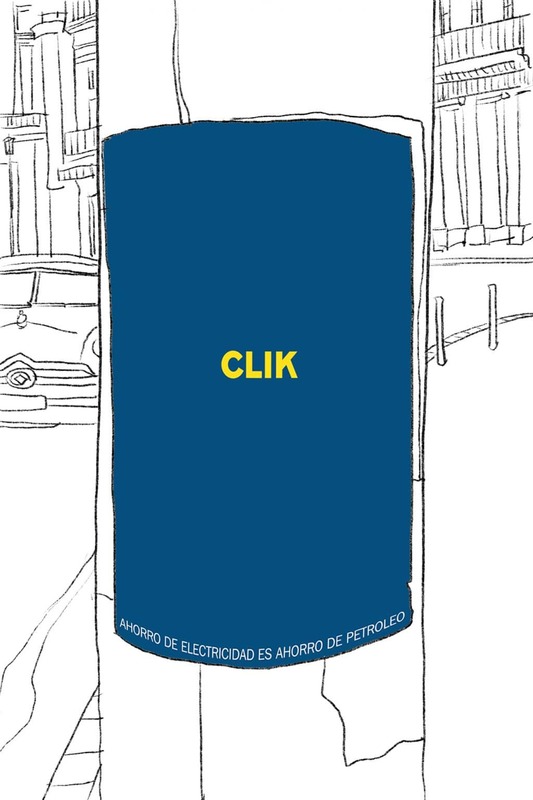 Clik (1969), poster by Félix Beltrán for a public campaign to encourage energy savings. This same year, Félix Beltrán started working at the agency. He was fifteen years old. Three years later he moved to New York City to study graphic design, painting, and lithography. Upon his return to post-Revolutionary Cuba in 1962, Beltrán would apply this education to the Revolution. He defied the material scarcity imposed by the U.S. economic blockade with the very tools, skills, and knowledge of the U.S. advertising machine. Beltrán, the teenager that entered the advertising world, would become the future head graphic designer for the propaganda department of the Communist Party of Cuba. Like Beltrán, many of the Cuban graphic artists had received formal training as designers or painters before the Revolution. They cut their teeth in advertising firms creating images—often in the favoured medium of silkscreen printing— to sell boxing matches, tobacco products, the latest perfumes. Almost overnight, their context would change. Recalling this moment in What is Real and Marvellous in a Pencil, Rafael Morante writes, ‘suddenly, in 1959, we Cuban graphic artists were obliged to come to terms with a phenomenon which until that moment had been unknown to almost all of us. Most of us had begun our careers in advertising, and I believe that this greatly helped to fuel the dynamic growth of a new form of communication’. They would become the madmen of the revolution. 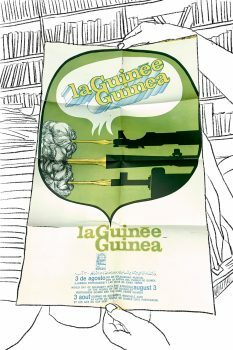 Folded poster inside Tricontinental Magazine issue, La Guinee Guinea (1969), by Olivio Martínez poster. There are a few piles of Tricontinental Magazines and Bulletins at the archive. These objects speak to a passage of time, in its specific historical conditions. The earliest two-colour publications were printed on rice-paper-thin pages that meant text bled onto the reverse side. The later publications had full colour covers on high quality paper, perfectly bound. While flipping through one of the issues, a folded piece of paper inside its pages becomes dislodged. The poster, when unfolded, announces the “World Day of Solidarity with the Struggle of the People of the So-Called Portuguese Guinea and the Cape Verde Islands.” Mariana, who hails from another former Portuguese colony—Brazil—shares this simple joy of discovering the poster as it was designed to be discovered. A difficult decision has to be made: Whether to keep the poster in its original issue or send it to join the poster archive. The latter choice was its fate. ‘To write about OSPAAAL’s posters is rather like talking about an old love affair,’ says OSPAAAL artist, Olivio Martínez. It is difficult to talk about the Cuban Revolution without revelling in its visual production—its posters are widely bought and sold in art markets, well studied, and sufficiently drooled over. So, what is to be learnt in recalling this history now? Commercial posters already had a vibrant life in Cuba before the Revolution. Since the new state had no interest in selling products, the commercial poster was repurposed to sell the Revolution’s ideas and programs. It would become the ‘anti-ad,’ as Tricontinental’s creative director, Alfredo Rostgaard, called it. 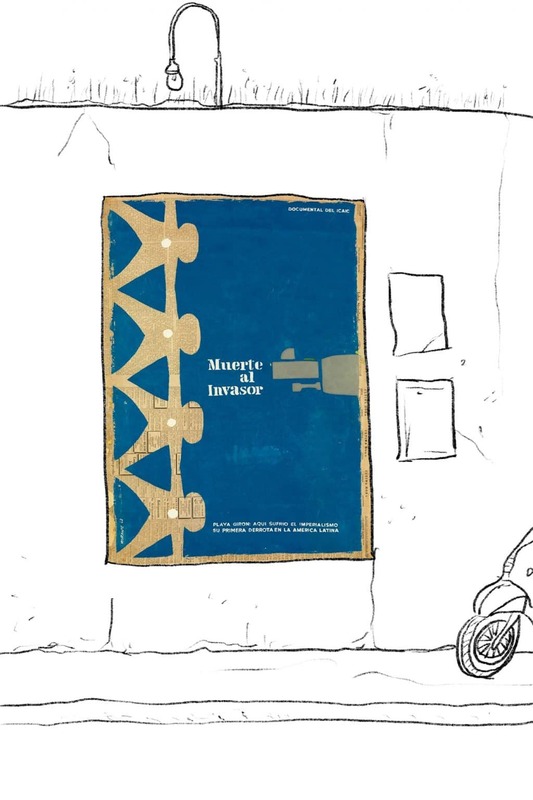 These posters were created to educate, inform, and inspire. They featured motorcycle-based health brigades, Akira Kurosawa neighbourhood film screenings, youth participation in the sugar harvest, energy savings campaign. The Cuban use of political posters recalls,’ as Susan Sontag wrote, “the communist-humanist goal of creating better types of human beings’. The poster broke down the dichotomies of commercial art versus fine art, high art versus popular culture. Unlike the muralist tradition springing from the Mexican Revolution of 1910, posters were favoured in the Cuban context as a more flexible and inexpensive art form, more responsive to the ever-changing needs of the moment. Unlike 1910, this was the age of mass digital reproduction and communication. The poster became a constant renovation of visual public life, from the streets of Havana to the murales (bulletin boards) of rural villages, to the living rooms of working people who could never previously own ‘art.’ The poster was an accessible form of self-assertion, a living material culture. 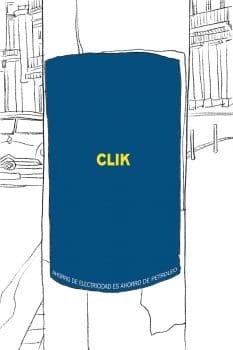 The Cuban government’s decision to prioritise the production of posters over other more expensive, less accessible forms of art was also an act of self-assertion—a claim to economic, political, and cultural independence from the United States, a mere 150 kilometres from its shore. It was a struggle for power, and for meaning-making. As art historian David Kunzle writes, ‘the nation was strong enough to turn upon the enemy the enemy’s own cultural weapons, selectively adapting styles and reusing content in satirical rebuttal’. The main institutions responsible for the rich production of Cuban posters include Editora Política (formerly COR, the official publishing department of the Cuban Communist Party), ICAIC (the Cuban film institute), and OSPAAAL. Many of the artists worked primarily for one institution, while at times producing work for the others. One of their creative inventions was the poster that was slipped between the pages of each issue of Tricontinental Magazine and sent around the world. The posters helped spread the ideas of the Cuban Revolution across the world. As Félix Beltrán, head graphic designer for the propaganda department of the Communist Party of Cuba, said, ‘the poster could circulate in countries where a functionary was not allowed to speak about the ideas of the revolution’. 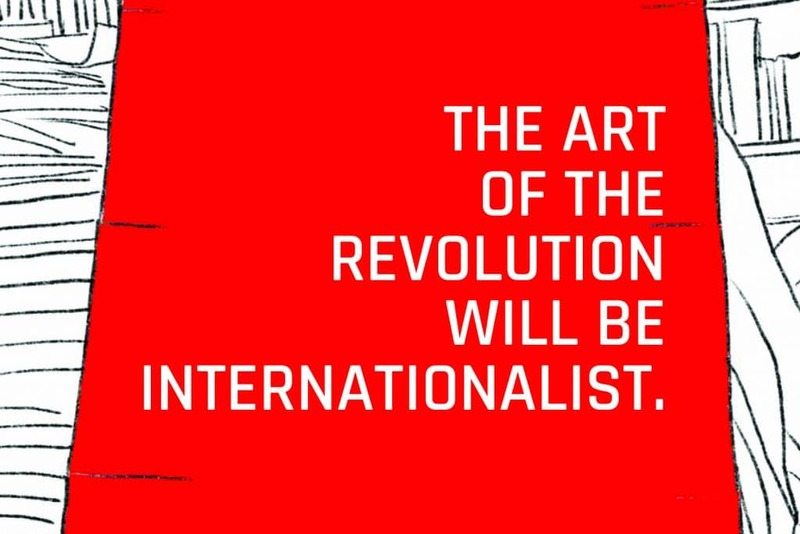 The magazine and its poster—multilingual and triple-folded—exported the vision of the Revolution to the world, with a circulation of about 50,000 every issue. 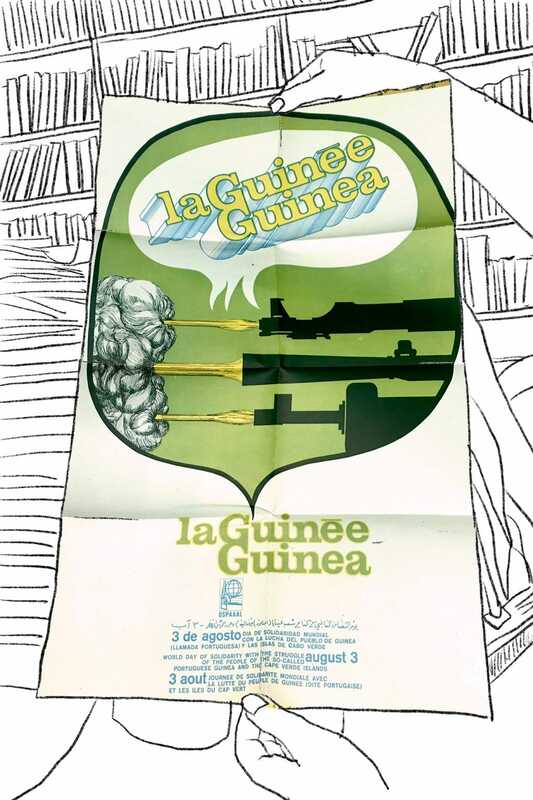 The folded poster, as described by Martínez, was one of the ‘variety of other disguises, all invented with the aim of avoiding the suppression that the empire attempted to use with every publication we produced’. Since its inception, Tricontinental has produced an estimated total of nine million posters distributed to sixty countries. This number becomes even more impressive considering the material scarcities imposed by the economic blockade set by the United States, and upheld by its ally Israel, which has repressed the island since the Revolution. Muerte al Invasor (1962) by Rafael Morante. 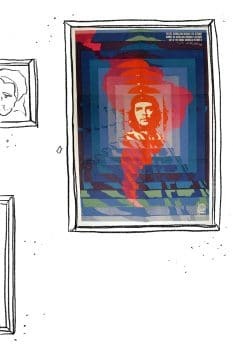 There is a Tricontinental special digest dedicated to Che Guevara. It is undated but it is likely from around the time of his CIA-backed murder in the forests of Bolivia. It is an homage to el comandante through the many posters that OSPAAAL and Casa de las Americas made of him. The styles are as diverse as Che’s disguises. It is printed in full colour. One poster per page with ample margins. The generosity of space in the layout offers space for reflection and breath. The quality of paper and luxury of ink used is impressive, and even more so when thinking about the embargo. This printed artefact, through the labour and materials behind its production, is in itself an anti-imperialist assertion. El bloqueo (‘the blockade’) imposed by the United States on Cuba, which began as an embargo on arms sales to Cuba in 1958, was extended to nearly all exports by 1962. Despite its violation of international law and despite being opposed by the majority of the world’s nations—including the U.N. General Assembly’s annual resolution condemning the embargo—the economic stranglehold continues today. It is impressive that in a country mired by such constraints—where the vast majority of paper was imported—the materially-intensive production of print media was prioritised and distributed not only locally but around the world. Rafael Morante, the Madrid-born Cuban graphic artist for ICAIC and OSPAAAL, recalls that ‘there was a time when there were shortages of everything: the paint needed by the painters, coloured stock, printing inks and sometimes even paper’. Offering another perspective, Tricontinental’s creative director Alfredo Rostgaart reflects that the embargo ‘helped [artists] in the quest for our own forms of expression…This had limited the arrival of design materials, and hence, from the need to solve our own material problems, we began to discover new forms’. Just three decades earlier in Moscow, VKuTEMAS—the Soviet art and technical school—found its many cultural and pedagogical innovations through similar material constraints. With limited access to paper, the architecture department in Moscow used clay as their primary learning material. As a result, students modelled their constructions directly in three dimensions—a tactile understanding of form and structure that did away with the mediation of projective two-dimensional drawing. The shortage of materials in Cuba did force designers and printers to find ingenious solutions with unorthodox outcomes: hand-cutting letters from magazines, collaging images from printers’ catalogues, and printing on newspaper back issues. Día del guerrillero heroico (1968) by Helena Serrano. Much can be, and has been, said about the specificities of Cuban posters themselves: their design, composition, colour, style, and content. They stand apart from other socialist and communist poster production. There are no muscle-men factory workers, no noble peasants, no socialist realism. Instead, there is humour and pain, anger and resistance, bloodshed and hope—there is humanity, as if beauty could indeed be an ideological method. It is often commented that the Cuban artists received an artistic freedom rarely found in the commercial art world, which is tightly tied to conceptions of an individual and marketable style. Cuban artists also enjoyed a creative freedom unheard of in other socialist societies, where party-line socialist realism was hegemonic. This style, developed in the post-Lenin era of the Soviet Union, preferred a classical, painterly, and idealised representation of the proletariat and peasantry. In his condemnation of the narrowness of socialist realism, Che Guevara pointed to socialist realism’s bourgeois class origins. He warned that ‘realism-at-all-costs’ would mean ‘putting a straight-jacket on the artistic expression of the people who are being born and are in the process of making themselves. What is needed is the development of an ideological-cultural mechanism that permits both free inquiry and the uprooting of the weeds that multiply so easily in the fertilized soil of state subsidies.’ In the process of making themselves, the Cuban artists deployed all the visual tools at their disposal. ‘We wanted to create a means of communication that was immediate, directly or indirectly, but at the same time original,’ said Rostgaart in Richard Frick’s Das trikontinentale Solidaritätsplakat. ‘We did not reject any method or technique that would make our posters effective and modern’. There was everything from constructivist montage to pop art, cubism to Afro-Cuban symbolism, psychedelic art to pre-colonial iconography from across the tricontinents. Due to its international orientation, Tricontinental posters favoured the image over text—an affect that does not require literacy. The flat colour silkscreen posters often included abstraction and reduction, high contrast, vivid colours, reduced lines, and visual simplification. They appropriated symbols to poke fun at U.S. imperialism, used colours to signify solidarity between oppressed peoples, and repurposed the very styles deployed by capital against itself. – A mission statement from the 1971 Congress on Education and Culture in Cuba. Even through a quick survey of OSPAAAL posters, Cuba’s commitment to internationalism seems as great—if not greater—than its nationalist ambitions. The poster, as Olivio Martínez recounts ‘was the response to a fundamental aim: that of supporting the struggle of the freedom movements. And this took place not only in many third-world countries; the horizons were soon extended to bring solidarity even to the United States… overcoming the frontiers represented by the triple ‘A’ in the organization’s name (Asia, Africa, Latin America), or simply reporting episodes of violence, brutality and cruelty by the rulers and military forces which underline their colonial and predatory anxieties in far-off lands such as Vietnam or South Africa’. Painting from Vietnam (1971) by René Mederos. In addition to the overtly internationalist content of OSPAAAL’s graphics—such as the “Days of Solidarity” poster series”—the value internationalism was also carefully cultivated in practice. Graphic artists collaborated closely with the Party propaganda department as much as with specialists from diverse fields of work. The constant dialogue between the organization’s member countries meant that graphic artists developed their work in their exchanges with delegates from revolutionary movements from around the world. One such example is Jane Norling, the only North American artist to produce a poster for OSPAAAL—in solidarity with Puerto Rico—during her months of working in Cuba. René Mederos, head of the design team in the Department of Revolutionary Orientation, was sent to Vietnam for a few months to experience the war on the ground, marching alongside the liberation forces on the Ho Chi Minh trail. He returned with a series of paintings—poetic, colourful depictions of resistance through everyday life that juxtaposed the violence and brutality of imperialism. 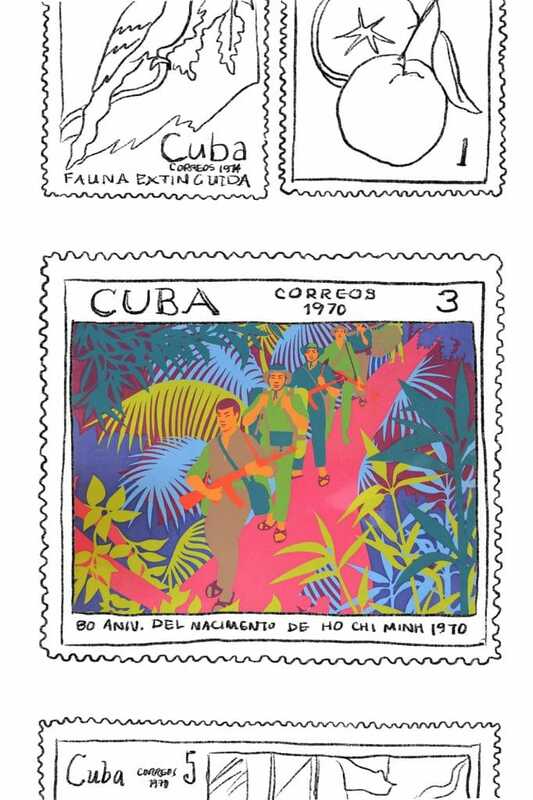 These paintings were turned into silkscreen images, then Cuban postage stamps. They were portraits looking towards Ho Chi Minh’s revolutionary promise of a ‘ten times more beautiful Vietnam.’ The internationalist content of OSPAAAL’s posters, and the practice behind its production, reminds that indeed solidarity is a verb. Digital graphic for Tricontinental: Institute for Social Research. A social banner image is being made for the new organisation that we are about to launch—Tricontinental: Institute for Social Research, a global south and movement-driven research space inspired by the legacy of the Tricontinental Conference. René Mederos’ poster designed for the tenth anniversary of the Cuban Revolution—a group of soldiers fronted by Fidel holding their rifles in the air with the Cuban flag flying in the backdrop. What are our weapons in the battle of ideas today? The new sketch is collaged, rifles replaced with pens, paintbrushes, and books. Soldiers replaced with students, mothers, and children. On the 60th anniversary of the Cuban Revolution, we may not need armed struggle in most of our contexts, but we surely need a lot more than pens, paintbrushes, and books to wage war against global capitalism, rising fascism, and climate collapse. The ideological battle waged by the social and political movements of today must be fought not only with words, but also with visual culture. In an ever-intensified battle over the visual, we need painters to paint the story of where we come from, to imagine where we are going and how we are to get there. 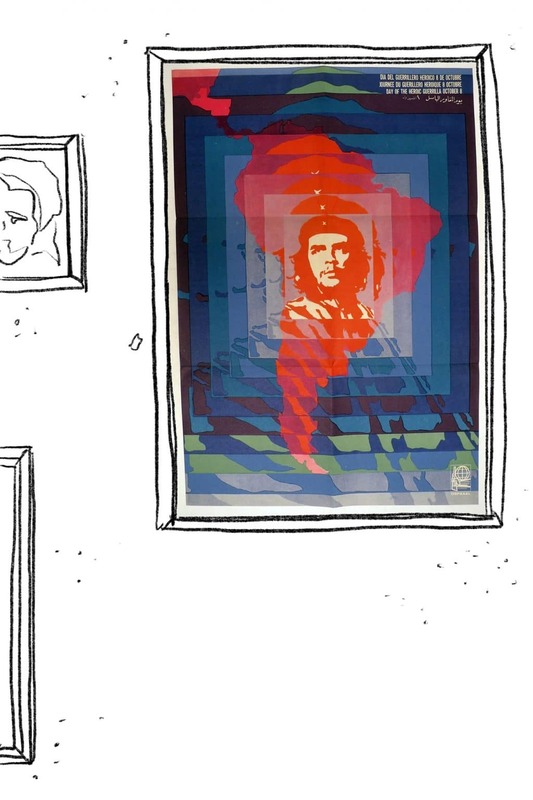 Like the advertising experts and art school kids turned graphic artists of the Cuban Revolution, we need all of the cultural workers today—from graphic designers to cartoonists, programmers to poets, psychologists to meme-makers—to seize what we know in order to dream and to construct a world that is not only possible, but necessary. We, at the Tricontinental: Institute for Social Research, invite self-taught and professional artists and designers, particularly those involved in movements, to join our Network of Artists and Designers. We hope that you join us.